When I was a kid, I remember being force-fed a foul smelling white emulsion that I came to fear and run away from the minute I see the bottle appear. Hands up if you too were averse to Scott’s Cod Liver Oil Emulsion 😛 The minute I could assert my rights, I refused to take any more of it and that was that. However, I was recently nursing a very bad cough that was dragging on for weeks and I suddenly remembered my Mom telling me that taking cod liver oil would help. Well, I wasn’t about to down that foul emulsion anymore so I got a bottle of cod liver oil capsules from the brand Seven Seas. I was told that I could take a slightly higher dose to start, and the recommended dose was 1-2 capsules 3 times a day. So I would take about 8 capsules a day. My cough did go away eventually (a combination of antibiotics, cough mixture) but I continued taking the cod liver oil capsules since I already had a bottle of it, and to build up my immunity. About a month and after taking 100 capsules, I woke up one day to a realization that not only was my cough almost gone, my skin was looking and feeling better than it has been in a while, despite the fact I’d been sick as a dog and under tremendous life stress. I had some marks from some stubborn cystic acne spots around my chin and mouth and my skin was feeling a bit clogged and bumpy and just blah. I’d always known about the health benefits of taking fish oil as a dietary supplement. I have also been told that taking fish oil, which is high in Omega 3 and 6 also helps strengthen skin and make it look better from within. However, I had been taking fish oil for a while previously without noticing significant improvements to my skin. It was all a bit of a same old, same old. Cod liver oil is, as the name implies, an oil extracted from the liver of the Atlantic cod fish and is rich in fatty acids of Omega 3 as well as high in Vitamin A and D. I’m thinking that it might be a combination of the Omega 3 and Vitamin A that had me noticing the benefits to my skin. However, I’m not expert so it’s just my thoughts on this. While doing some quick research online, I also noticed that cod liver oil is prescribed for people who have very dry skin or psoriasis. Thinking back, as I have slightly dry skin on my face, I did realise that I didn’t seem to have the tightness or enlarged pores that I’d been noticing before this. Everything just looks like it’s tightened up a smidge, and coupled with the refined texture of my skin, I’m kind of sold on the idea that it is the cod liver oil that’s working wonders. I did replenish my cod liver oil supply with a larger bottle of it. I’m taking the one from Seven Seas for now, but I’ll do a bit more research and see if there are other brands or options out there. It isn’t very expensive at all. I recently bought 600 capsules (250mg) for about RM60 and I’ve seen the same quantity sold for less during sales and promotions at most pharmacies. I take 4 capsules a day now at the end of the day just before bed, and for now, it’s a routine I can stick to, so I’m happy about it. I plan to look for capsules that are higher in dosage too just to make it easier to take. 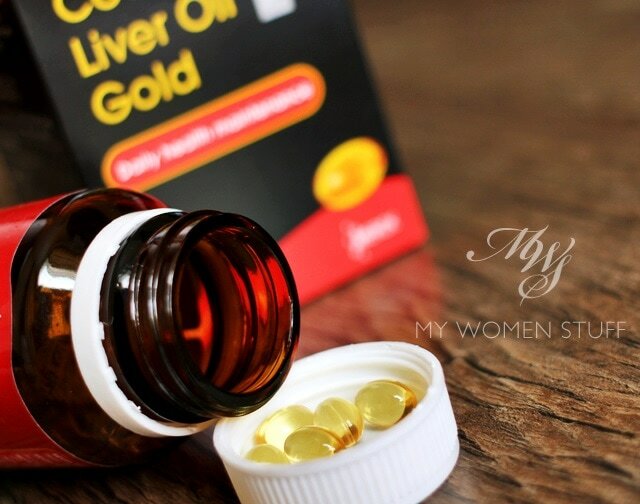 Do you take cod liver oil regularly and do you notice the benefits for your skin? Disclaimer: I am not a trained health practitioner and this is based on my experience taking the supplement which I bought myself. If you have health concerns, please consult your doctor or a medical practitioner before taking this. Benefits may vary from person to person. NEXT POST: Mochi! Mochi! The Laneige White Plus Renew Capsule Sleeping Pack is too adorable! Good morning! I didn’t know before that cod liver oil helps with skin. 🙂 I took it for awhile in an attempt to “improve” my memory. Have been very forgetful these days. Anyway, I wasn’t consistent with it, and I only took 1 capsule per day. So i thought it isn’t helping and I stopped. Maybe I will have to start again! On a different oil, for about a month I have been taking a natural herbal oil (with sesame, flax seed, coconut etc) in a capsule. After about 2 weeks of 2 capsules per night, I suddenly noticed my skin became very smooth and plump. It’s a hit over here now. Have you heard of it before? I’ve been taking cod liver oil from GSK and i definitely feel stronger (i.e not prone to taking MCs) – but after finishing this stash, am gonna switch to the emulsion/ other brands because it contains parabens… although there are alot of writeups on parabens and how it is insignificant in relation to our usage, still feel adverse about taking this cummulatively (and over the years). I’m also quite adverse about how GSK is not very transparent on their website about the ingredients and whether there are parabens in their other cod liver oil related products like emulsion – not too sure if this is standard practice to disclose if there is such an ingredient (even in other producers of cod liver oil!) Do share if you uncover anything interesting! Am not familiar with GSK’s cod liver oil but it’s good to know it’s helped boost your immunity. I could definitely do with that. I know for a fact I could never stomach an emulsion so I’ll be sticking to capsules! Hiya AnT! 🙂 Gosh, you were taking Scotts Emulsion till you were working?! Hats off to you! That said, I know of someone who used to take it every day of his relatively long life. Can’t be all that bad eh? 😉 Hope you’ve been keeping well! I’ve tried consuming fish oil in the past after having been taken by all the health benefit claims but the smell (even though I took the capsules) was too much for me. Recently, I scored a free bottle of 90 capsules of flaxseed oil which is touted to be rich in Omega 3 as well. It’s been about 2 months of consumption and while I personally didn’t notice any clear changes in my skin or body, I had someone tell me last week that they’ve noticed an improvement in my skin. Strangely enough, that person specifically mentioned that my pores seem to have “disappeared”. Flaxseed oil also had a “fishy” smell but tolerable and dissipates quickly enough compared to my previous experience with fish oil. So in all likelihood, I will continue with its consumption. I was one of those who hid and shook with fear the moment I realised my mom was going to feed me cod liver oil. I can still remember to aweful taste. I wonder how many generations of children scarred for life. I remember inflicting the same kind of torture on my boy when he was little. Poor thing! I do hope they make better tasting ones nowadays. I am only taking 1 capsule a day lol…now will up my intake to 4 and the tip to take it before bedtime is just great! ???? Ooh interesting. I am still taking the fish oil but I don’t see/feel any significant difference. tsk. maybe i need to try this! i used to take the scott’s but i preferred the orange flavour compared to the original. That’s absolutely right Parita! I guess there is a lot of truth to how supplements help our health and skin 🙂 I didn’t notice a lot of changes with fish oil, but perhaps it’s one of those things. Glad it’s working for you! Liquid! You brave soul 😛 I think they probably stopped selling it because most of us can’t tolerate that fishiness hehe… Does it comes in a higher dose in liquid form? I usually find it easier to pop a pill than to drink liquids of any sort. I may be another weird one but I LOVED the orange Scott’s emulsion as a kid. Was limited to only 1 tablespoon a day though. Hehehe :p the white one is absolutely disgusting though! Haha I never tried the orange one, only the white. Must have been why I hated it so much! Absolutely, that’s where it starts! I like that you had to put a caveat in there that you’re not a medical professional lol! This sounds intriguing. I might have to give this a shot now! I LOVE Scott Emulsion (original) alot that I dont wanna down the tablets instead! Hehehe…. oh yes, fish oil, cod liver oil and evening primrose oil do help with the skin, and it is good you found the right cod liver oil for you. Fish oil, on the other hand, is slightly tricky. Have to check the amount of dha, epa, cos apparently if you get 1000g ones, it doesnt mean you get a higher dosage of epa and dha. I tried few brands, and they leave my skin oilier, can u imagine? Lol. Haha you and Seraph would be good friends 😛 Ran away screaming from the sight of the white emulsion as a kid, I was so thankful capsules exist LOL! Yeah, maybe I didn’t pay enough attention to the content of the fish oil I was taking. And they actually made your skin oilier? Gosh that’s interesting! Would cutting back on the dosage help? 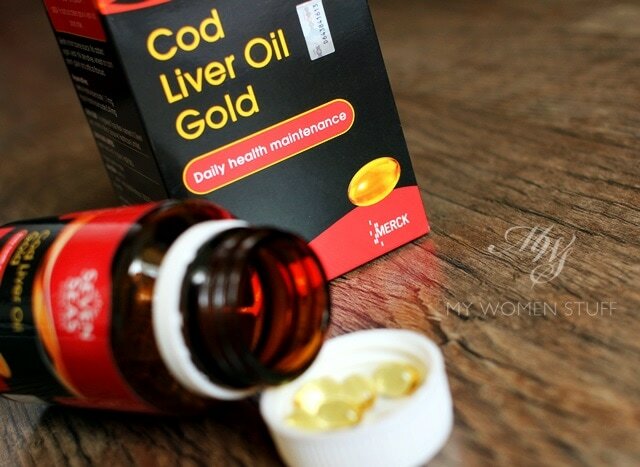 I think my mum indoctrinated it into me – cod liver oil is good for you. I started with the (original) white scott’s emulsion. It had a funny taste but I could live with it. Then came “Haliborange” – a pleasant break for me but my mum believed in the original good ol’ white – so it was back to white not long after. Stopped taking it during my teenage years but as an adult and taking care of my health became more important, I got back into cod liver oil. Although the taste of ol’ white was fine but burping it later (like garlic capsules) was pretty gross. So I now stick to the orange flavour. That together with fish/salmon oil. I cannot say for sure if it works on improving the complexion, but I will say that it’s certainly helped to keep me pretty bug free. Touch wood, I’ve not had a sick day for years. Now to get my kids into taking this more regularly. I used to hate Scott’s Emulsion (white one) as a child to the extend that I cannot stand the taste and smell of almond milk because it reminds me so much of the emulsion. LOL. I did move on to Haliborange as mentioned by jk and I liked it better because of the orange taste. I have been taking fish oil supplements since late last year as it was highly recommended by Caroline Hirons. A few people have complimented me on my skin but I think my better complexion could be due to a combination of fish oil and the face cloth method. I hate almond milk too! But I never associated the taste with Scotts. LOL I was taking fish oil for the better part of a year before this but I never noticed anything noteworthy. Skin was just as bad 😛 But things have definitely taken a turn for the better in recent times so it’s either I’m doing something right, or this cod liver oil is a heck lot more potent that regular fish oil! 😉 I think I didn’t do enough research before on the contents of the fish oil. Didn’t realise it’s so complex! LOL! I’ve never taken any health supplements but I’m going to suggest this to my parents 🙂 Thanks for the tip Paris. That’s an interesting find. I swear by fish oil to keep acne at bay but I never thought to think it “refines” my complexion. Perhaps I should also start taking cod liver oil to see if it makes a difference! Oohh goodness, the white Scotts Emulsion! Haven’t had one of those since I was a kid! I loved the orange flavoured one though, I would sneakily go into the kitchen and help myself to a tablespoon or two when the mum wasn’t looking, LOL! I have never taken Cod Liver Oil as a supplement before, though I do find myself consuming evening primrose oil which has made my skin feel a lot better. I think it was about two months into consuming it that my skin felt so much smoother, and I didn’t have random acne popping up. I should probably look into cod liver oil, or get the evening primrose that has the fish oil one in it. Ugh the smell though. Thanks for sharing Paris!